I'm always trying out new products whether they get sent to me or I buy them myself, so let's face it June is no different to any other month of the year. However this month I get to try some exciting new brands and releases that I couldn't wait to share with you. As you are reading this I'm jetting off to sunny Gran Canaria for a week of total bliss and I couldn't be more excited. I will try to capture my holiday and this beautiful place through photos that I can share with you... but until then let me tell you about the new beauty bits I'm currently trying out. 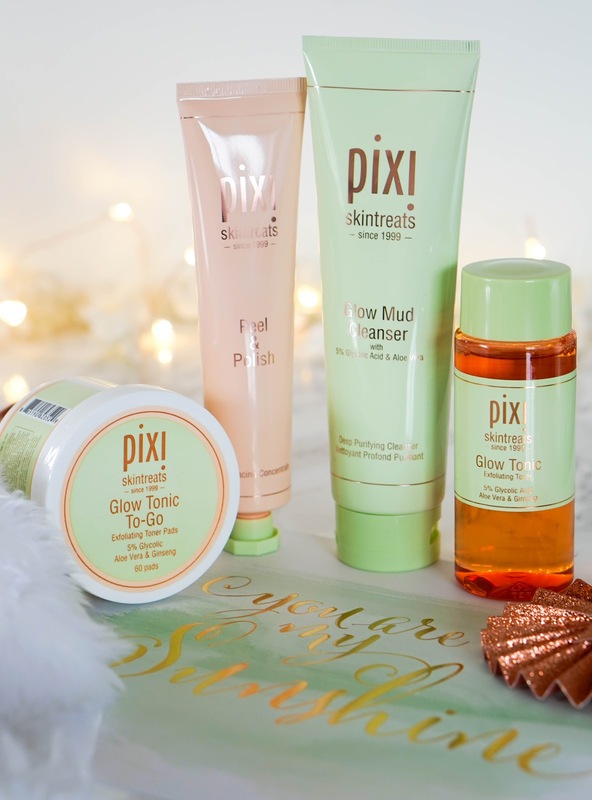 First up I'm very excited to share a couple of skincare products from Pixi Beauty, a brand that I am constantly seeing in the blogosphere with positive reviews but had yet to try out for myself. The creator of the brand, Petra Strand, focuses on creating innovative formulations that are infused with botanicals and beneficial ingredients. 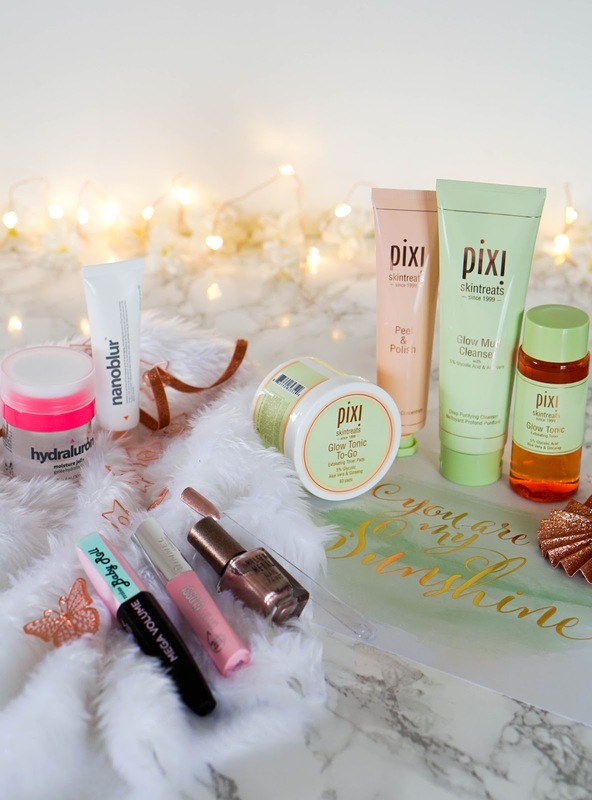 Pixi is well known for its pure, awakening and skin-loving products, which I couldn't agree more with. Firstly I have the award winning Glow Tonic*, which is an exfoliating toner that helps to tone and firm the skin, whilst removing dead skin cells at the same time. What you are left with is healthy looking skin that feels smooth and looks radiant too. It's one of those products that you need to use for some time, at least a couple of weeks for the results to come through but it's definitely worth the wait. This contains Glycol Acid similar to my favourite Alpha H Liquid Gold treatment, but it has added aloe vera juice which help to soothe the skin also. Because of this you can actually use the toner every day and you won't get that tingling sensation, so it's suitable for even the most sensitive skin types. I also like that it's alcohol free and therefore has a lovely fresh scent, a little grassy yet fruity at the same time. Considering the affordable price, it really is worth picking up and trying out, as it will do wonders for your skin over time. You can pick up the small 100ml size like I have here for just £10 if you're not ready to commit to the full sized version just yet. 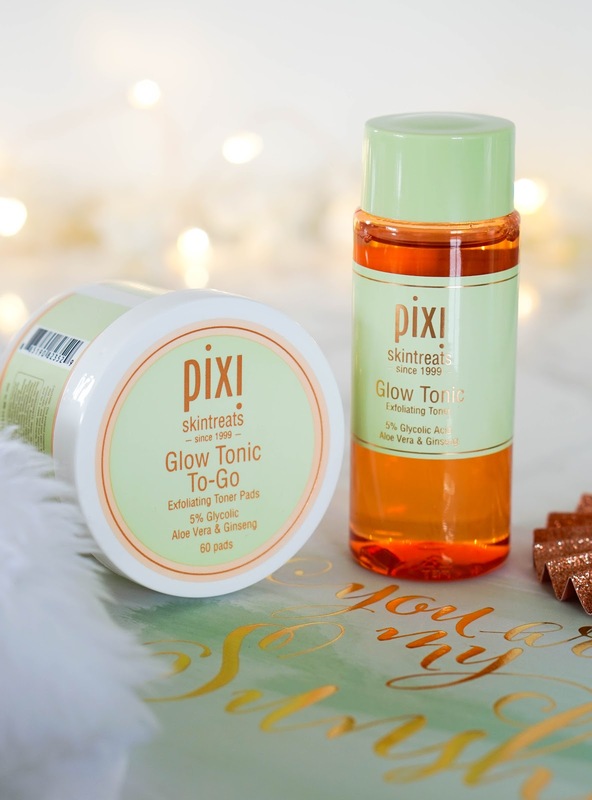 I was also sent the Glow Tonic To-Go* £20, which are travel friendly pre-soaked pads using the exact same Glow Tonic formula. I am yet to use these as I saved them for travelling and have brought them with me on holidays, however I expect they will help to tone and gently exfoliate my skin in a similar way to the Glow Tonic. I'll be sure to report back if it is any different, but I highly doubt it. Next up I have the Glow Mud Cleanser* £18, which is completely new to me as I haven't tried a clay cleanser like it before. Again this is infused with 5% glycol acid, so not only is it great for a deep cleanse but it will also exfoliate the skin in a gentle way. Due to its mud texture I had expected this to feel drying on my skin and leave my face with that squeaky clean kind of feeling which I personally hate. 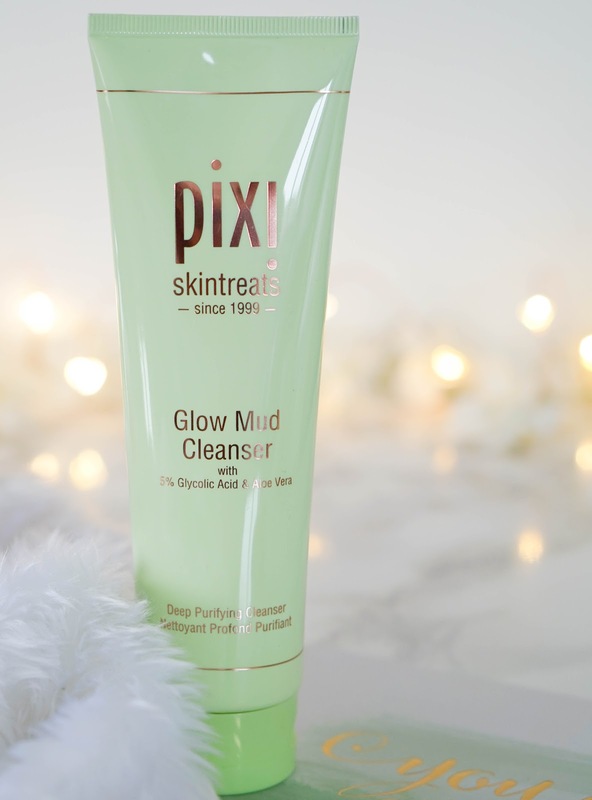 However I was pleasantly surprised as this felt quite mild and gentle, so it didn't strip my skin of moisture but left a radiant and healthy glow behind. I usually remove my makeup with micellar water first and use this as my second cleanse, also bear in mind that you can't use it on your eyes. It works really well at removing every last trace of makeup and unclogging my pores. I don't use it every night, as I have a couple of different cleansers on rotation, plus I don't want to go overboard with the glycol acid considering it's present in a lot of my skincare products at the moment. 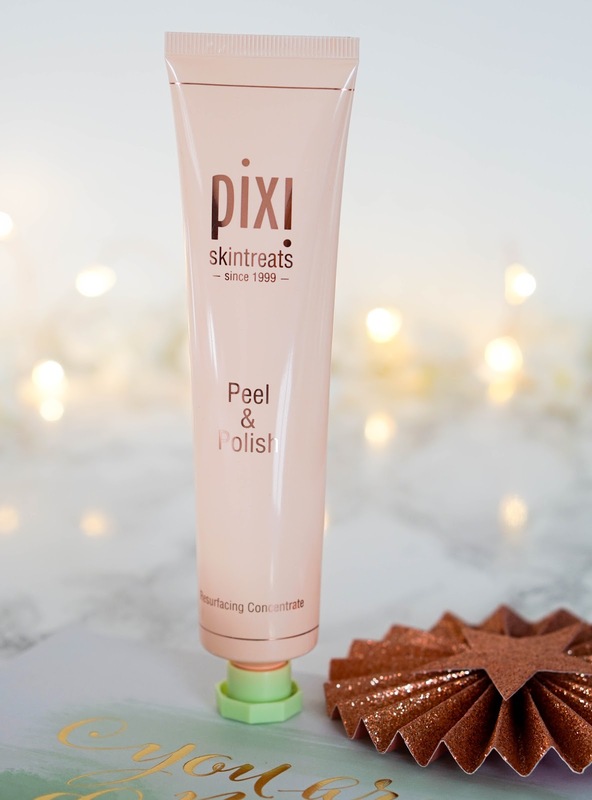 Lastly I have one of Pixi's new skincare releases, the Peel & Polish* £26, which I am also happy to be giving away in my latest Instagram giveaway (head on over now for your chance to win). Pixie kindly sent me 3 of these masks to share with my readers, so I decided to host a little giveaway on Instagram where you could win one for you and a friend... all you have to do is follow, like the photo and comment by tagging the person you would want to share this prize with. Back to the actual product, which is a resurfacing concentrate mask that contains 6% lactic acid (a more gentle AHA that helps to exfoliate dead skin cells). Other ingredients present are witch hazel water and extracts of ginseng, papaya, along with sugar cane, sugar maple, cucumber, orange, and lemon... which would explain the exfoliating properties further and the slightly fruity fragrance. As you squeeze out the light pink formula, you will notice it has a grainy texture, similar to micro-dermabrasion exfoliants, which means that the particles are super fine and not abrasive on the skin. It's recommended to apply this on dry skin and leave it on for 5 minutes each time which is all the time needed for the mask to lift away dull skin. I also found that removing the mask with warm water activated the enzymes further, so I make sure to gently massage the product into my skin as I remove it. It's really a wonder product as my skin feels instantly smoother and softer, plus it looks brighter and luminous. The next brand I will be testing out this month is Indeed Labs since they kindly contacted me on Instagram and sent me a few of their products to try out. This Canadian-based company has been popular in the UK for quite some time now with their affordable yet effective products, that address specific concerns and give maximum results. 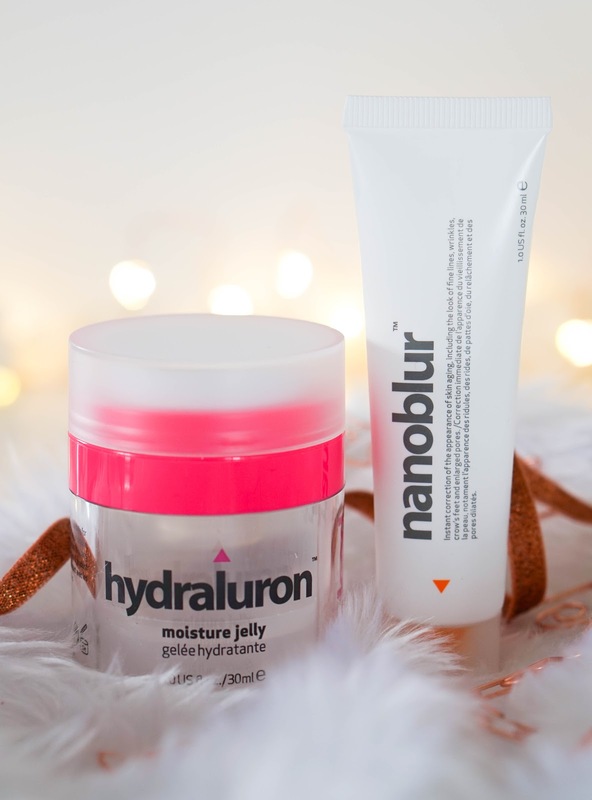 I have actually tried out their Hydraluron Moisture Jelly* £24.99 back in 2014 and I have to be honest, it wasn't my favourite. Even though I finished up the pot, I never repurchased as I used it on it's own and didn't find it hydrating enough. I'm always willing to give products a second chance though and this time around I am pairing it up with The Ordinary Hyaluronic Acid for extra moisture. So far it feels ok and this duo seem to work much better together, as my skin is left feeling smooth and hydrated. What I do like is the packaging with the pump actioned jar that dispenses product easily and is hygienic too. I'm also enjoying the lightweight formula that is easily absorbed into the skin, considering we are dealing with constant humidity here in the UK. It's also interesting to know that Hydraluron contains a pure form of hyaluronic acid along with PatcH20, a micro network complex that helps to lock in moisture. Will have to keep you updated on how I get on with it over the next couple of weeks though. Next up I have Nanoblur Instant Skin Finisher* £19.99, which is completely new to me and claims to be an instant cosmetic solution for smoothing out pores and imperfections. It has been formulated with optical prism technology to change the way light reflects off skin, thus creating an air-brushed effect. The formula is water based and needs to be patted on the skin gently but quickly, I repeat patting and NOT rubbing is the key here. It took me a few tries to get the application right, but once I did I have to agree with the claims since it really helped to blur out my pores. I must also warn you that your skin must be well cleansed and moisturised for a perfect application. Even though the brand claim this is not a primer, it can be used underneath and on top of makeup too. However I struggled to get the right finish on my skin when combining with makeup, so I definitely prefer using it on its own. Since I go makeup free most weekdays, this is great for smoothing out my complexion in a fuss free application. Lastly I wanted to share with you my latest little haul from Superdrug.. I needed a new mascara and needed up picking up a few other bits to go with it. I'm surprised that I managed to stay quite restrained considering there's a ton of new releases out there. First up let me tell you about the L'Oreal Baby Roll Mascara, which is the only product I actually needed. 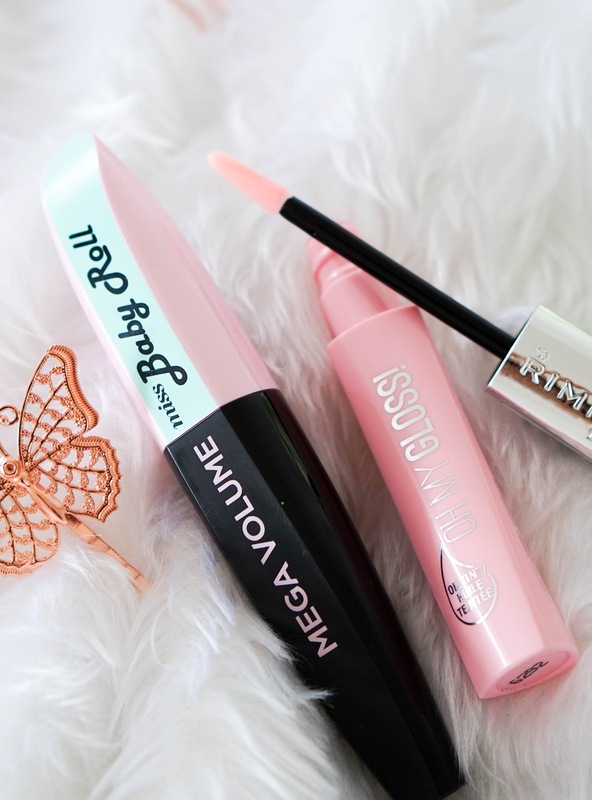 I haven't had a drugstore mascara in quite some time as I tend to stick to a few high end favourites that I know will work well for me. However after constantly seeing this new mascara all over my Instagram feed I decided to just try it out and I'm pleasantly surprised. I chose the shade black which I am happy to report is a true jet black, but I loved that there were other shades available on the stand such as Lilac and Indigo (I would love to try these more unique shades in the future). 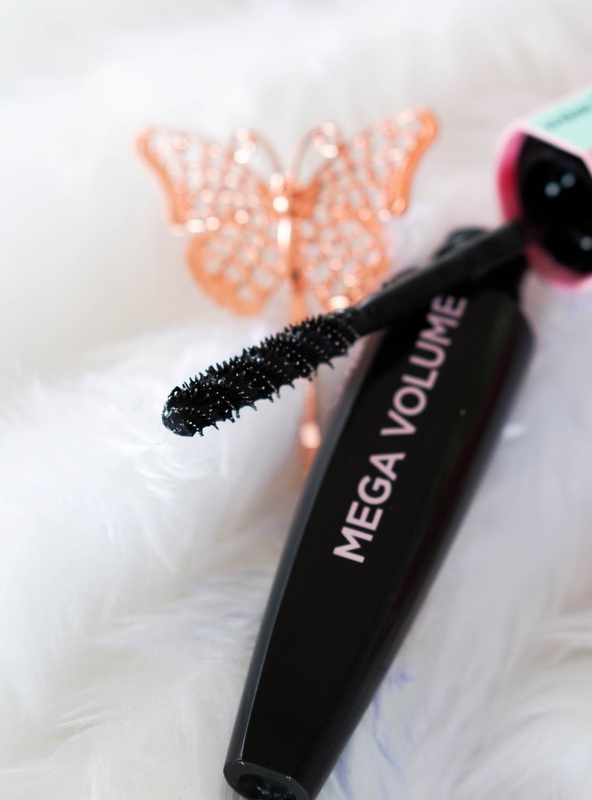 The wand is my favourite part of the mascara as it's been designed in spiral shape, which is great for coating lashes from the root and also helps to add a curl that lasts really well throughout the day. 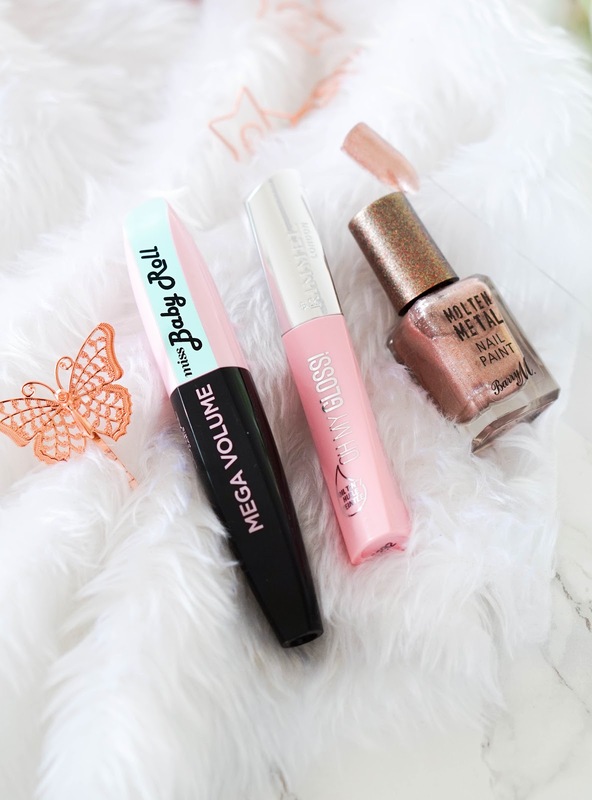 The mascara stays true to its claims since I was able to achieve volume, length and a curl to my lashes at the same time. Next I have the Rimmel Oh My Gloss Oil Tint in shade Smart Pink, because I'm quite obsessed with glossy lips at the moment and this seemed like a great budget option. I chose the lightest shade, as I was more focused on the glossy factor rather than an intense colour. I don't think I've tried an oil tint like this before but I love the nourishing formula since it's been created with a blend of 4 precious oils - coconut, pomegranate, abyssinian and daikon radish seed. What I love most is that it's not greasy in any way, despite the fact that it's an oil. The gloss stays on for a couple of hours if you avoid eating/drinking and you are left with a lovely natural tint of colour when the gloss fades away. Thumbs up to Rimmel for creating these beauties, I'm certainly impressed and will be sure to check out the other remaining 3 shades from the range. 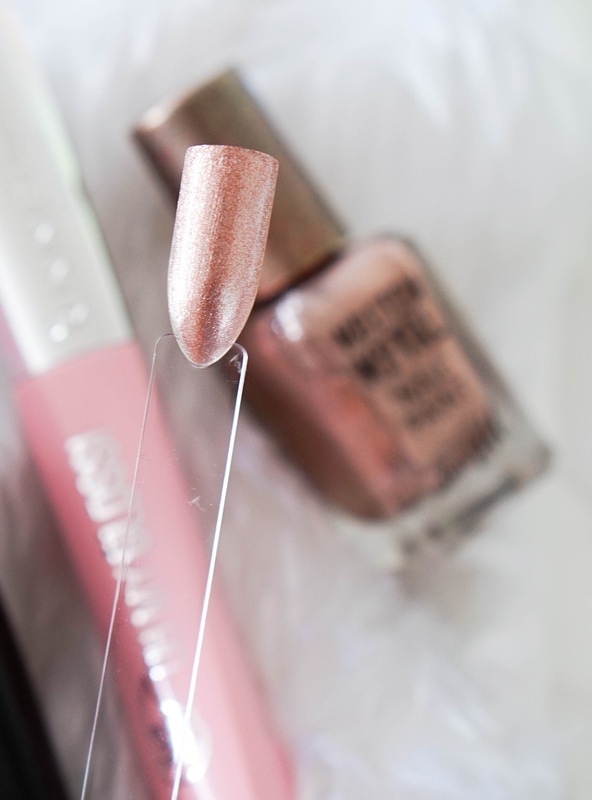 Lastly I have a new nail polish from the Barry M Molten Metal range in shade Pink Ice, which is a stunning rose gold. Despite the fact that I've just had my nails professionally done with shellac for my summer holiday, I just couldn't resist picking this up. The metallic, foil finish is insane and the amount of sparkle packed in each polish is amazing. What I love most is that 2 coats will give off a super opaque finish and it dries really fast too. Best of all these aren't a hassle to remove like glitter nail polishes, despite the sparkle they wipe away easily like normal polishes. Wow I've just read that back and realised it's been a super long post, I do apologise and hope you managed to get through it all. If you've tried any of the products above, I would love to hear how you got on with them.. Let me know your thoughts below!